Want more living space in your home and looking for an easy, lower cost alternative to building a bricks and mortar extension? A contemporary garden room is a great solution, quick to install, normally no planning permission needed, and it could even add value to your home. A survey last year by the HomeOwners Alliance and the Federation of Master Builders revealed installing a garden room or outside playroom for the kids could add over £35,000 in 14 days to an averagely priced home in Surrey. Home office, spare room, chill out space, garden gym, art or craft room, playroom, the uses are almost endless. With bifold doors, cosy heated interiors and on-trend looks they can be a great asset to any garden. “There’s a garden room for every budget but be savvy and do your homework before you buy, to make sure you pick a model that fits your needs, as some are just glorified sheds. At Norwegian Log, we specialise in high quality, eco-friendly garden rooms made from solid log which have high levels of natural insulation so comfortable for year-round use with minimal running and maintenance costs,” said Nick Forrester of Norwegian Log Buildings. Planning - In most cases, if sized under 30m2 and under 2.5m high, garden buildings do not require planning permission or building regulations provided they are 1m from a boundary, as they are considered Permitted Development. But if you want a larger garden building or live in a National Park/AONB, then the chances are you could need planning permission, and if you live in a Listed Building, then you definitely will. For more information click here. Access – How will the building be delivered to your garden and is there adequate access? If you live in a terraced house, can you access the garden from the rear? If not, make sure you choose a supplier that can either use a crane or supply the building in parts which can be walked through your home or side gate. Quality – As garden rooms have become more popular, there has been a linked increase in the number of suppliers. Check out customer reviews online and make sure you visit a showroom to get a feel for the quality of the product. If the supplier is a decent one, they should give you the option of talking to or visiting an existing customer so you can get a first-hand account of their customer service. Do they offer a complete build and install package? Ask whether the buildings can be used year-round, what they are constructed from, whether they require insulation and if they need to be regularly maintained. Do they come with a warranty? Location – Think in advance about where you want the building to be erected and what view you want it to have. Is there an awkward nook in your garden that can be better utilised? Do you want the building to face east for the morning sun or west to make the most of those stunning sunsets? If being used as a playroom, do you need it close to the house so you can keep an eye on your kids as they have fun? Want it as a spare room, then think about the practicalities of toilet and bathroom access. End use – Garden rooms can be wonderful multi-use spaces if planned correctly. For a home office or cinema room, you will need an internet connection and lots of plug points. Storage is important if you want to use it for craft, natural light for an art studio and acoustics for music. Want to brew a cuppa or wash up wine glasses, then consider a small sink with water connection. Garden gym or yoga studio, why not mirror a wall? 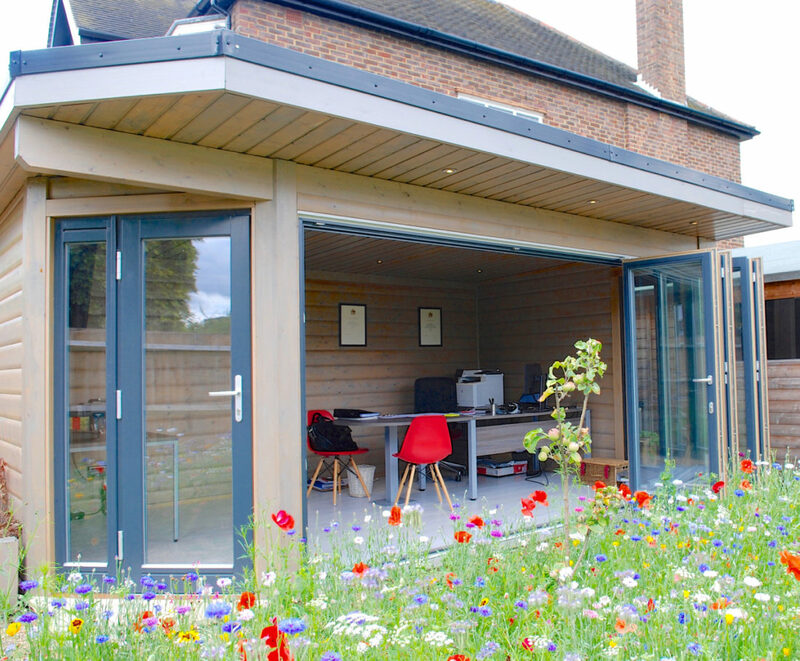 Buying the right garden room can really transform how you live or work in your home. It allows some people to ditch their commute and work from their back garden, whilst others use their space as a ‘chill out’ zone they can relax in - away from the hustle and bustle of the family home. You’ll also end up spending much more time in your garden, closer to plants, trees and wildlife. A great recipe for relaxation and getting the most from your property. Put simply, it can be life-changing.